Marbles are, to me, one of those classic childhood symbols. I never bought a Marble Pack or played any Marble associated game to win them. But I remember I had a pretty nice Marble collection as a child. I guess I lived in a neighbourhood with pretty clumsy kids. Or they always had holes in their pockets. Whatever it was, I always found Marbles in the park, or even in the street on the way home. I remember being fascinated by the way they looked, and the sound they made when they got hit against each other. 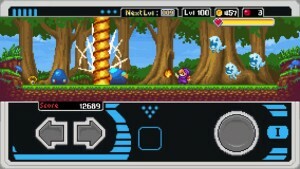 Slayin is an old-school, retro-designed, arcade game. Your job is to slay as many monsters as you can. The controls are as simple as it gets: you can only move your character left or right, and make him jump. 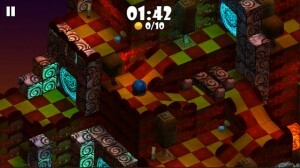 And the gameplay is also quite basic: there’s no hidden pathways to follow. Once you guide your character in one direction, he will constantly move towards that point, until he gets from one side of the screen to the other, or until you change his direction. So, what makes Slayin a game worth playin’? There are a lot of cool, free, new games in the App Store this week. Terminator Genisys: Revolution catches the eye with amazing graphics, and a complex gameplay. King strikes back with AlphaBetty Saga, which comes to prove, more than ever, that you also have to put your mind at work to win a King game, and it’s not all just luck. And Blades of Brim shows there’s still more that can be brought to you by an endless runner to keep this type of games still on top. 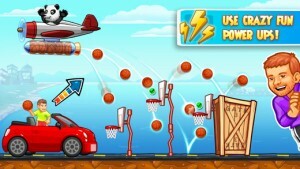 But my favorite this week was, by far, Dude Perfect 2. 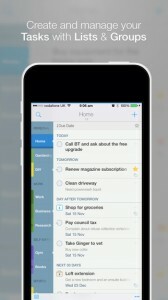 We are no longer just looking for the quickest way to create reminders, and task lists. The classic post-it on the fridge is being replaced more and more often by smart, complex apps. These apps do not only make sure you don’t forget to complete your daily tasks, and chores, but they also help you keep everything in order, at all time. That’s exactly the kind of app 2Do is. 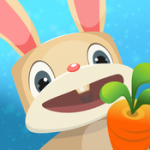 And totally free of charge until Friday, since it is App of the Week in the App Store. Click here to get the bite on - What Do You Have 2Do Today? 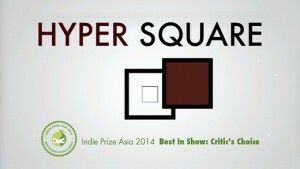 Hyper Square iPhone Game Review. Ups: What I really loved about Fast & Furious: Legacy were the controls. I think car race games are one of the most exciting games out there, but I always find it difficult to control the car using the gyroscope option. 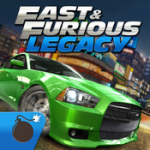 But with Fast & Furious: Legacy, changing lanes is as easy, and intuitive as it gets: just tap right or left, and the car moves in the direction you want it to. The graphics are extremely cool, and realistic, as expected. You can drive over 50 cars that your favorite characters in the Fast & Furious series also drove. Throughout locations where your favorite characters also drove, like Los Angeles, Tokyo, or Miami. And besides completing challenges, there’s also an engaging Story Mode to get you even more caught up in the plot.